When going over a list of the most coveted pastry-protected creations, pie has got to be at the top. Sweet or savory. Handheld or sliced. Meat or fruit. 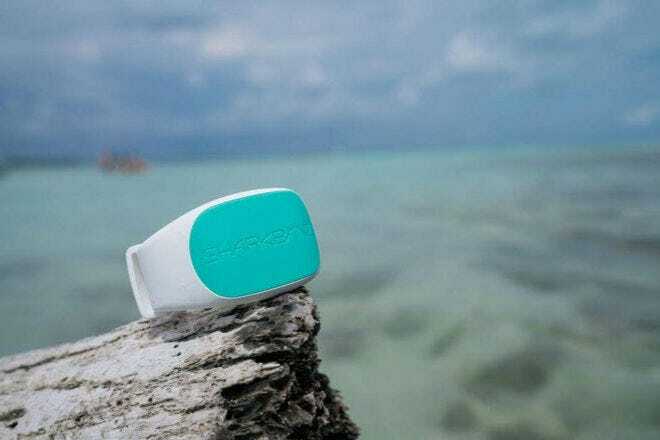 Hot or cold. 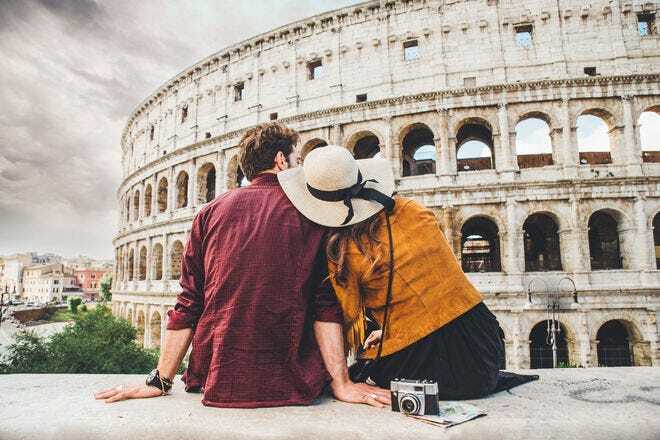 The varieties are endless, so we've rounded up some of the most interesting and delicious places to partake in all 50 states. 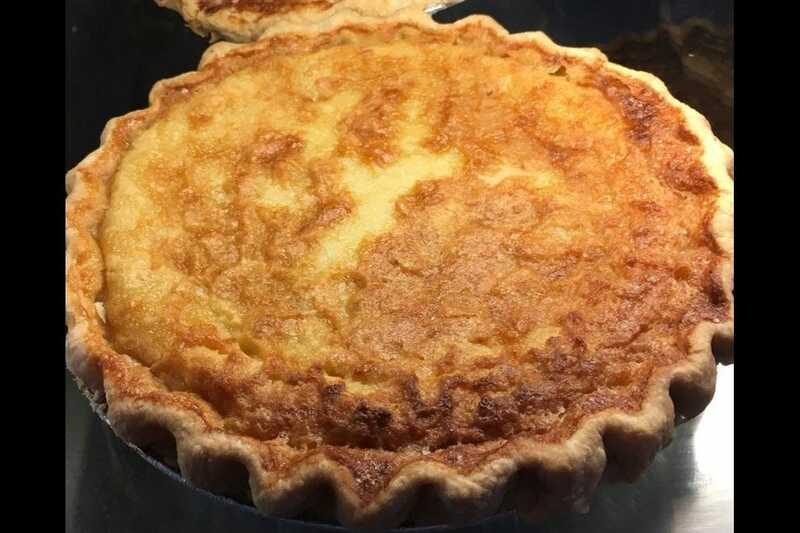 Folks in Greensboro get can take care of their sweet tooth – and the sour ones – with this shop's lemon chess pie, a tart variation on the southern classic. 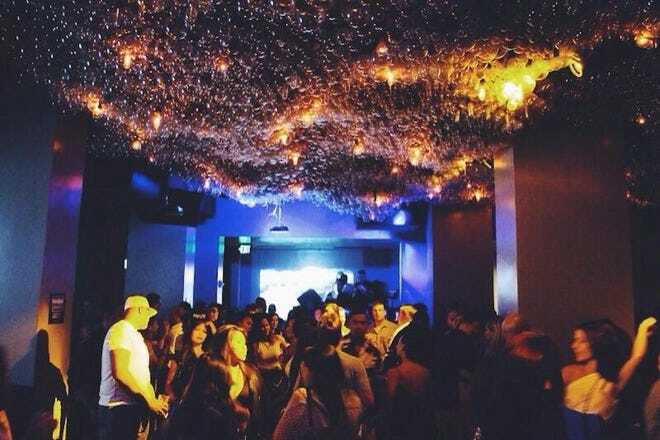 Folks love the communal seating, as well. What, after all, pairs better with pie than new friends? 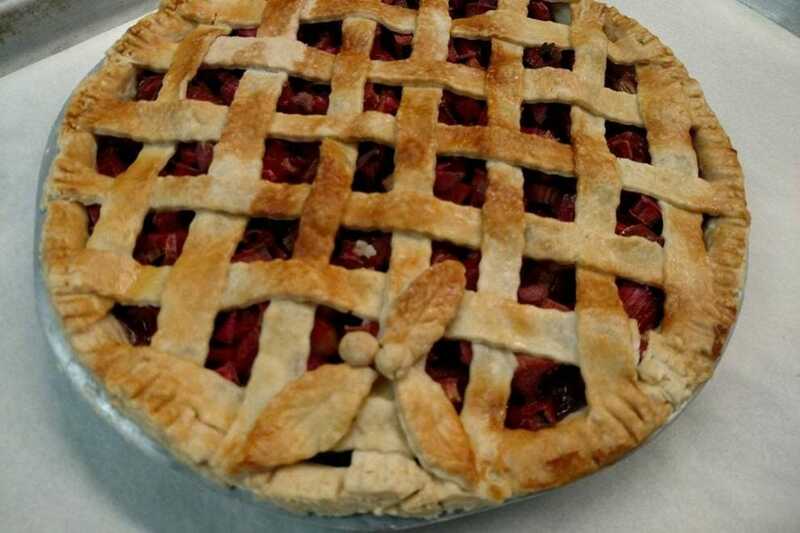 Founded in Anchorage in 2009, the main "pie-prietor" here was a hobbyist baker who went pro after retiring as Alaska's Director of State Parks. Now, the shop is a family affair, going strong nearly a decade later. 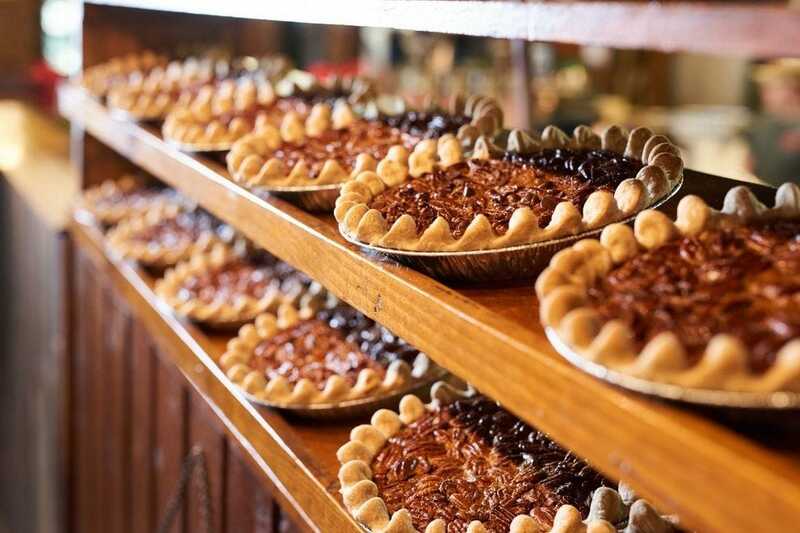 They do all kinds of goodies here, but the pies are undoubtedly a favorite. 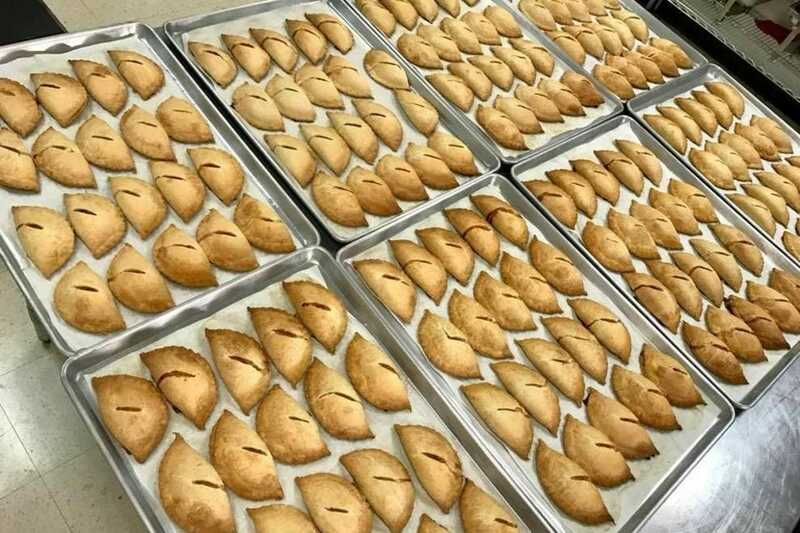 Hand pies – or empanadas, or pasties – are the go-to here. The Chandler shop has sweet varieties, like apple or lemon cream, savory offerings including green chile chicken and Jamaican beef, and even breakfast versions, such as maple bacon, potato and cheddar scramble. 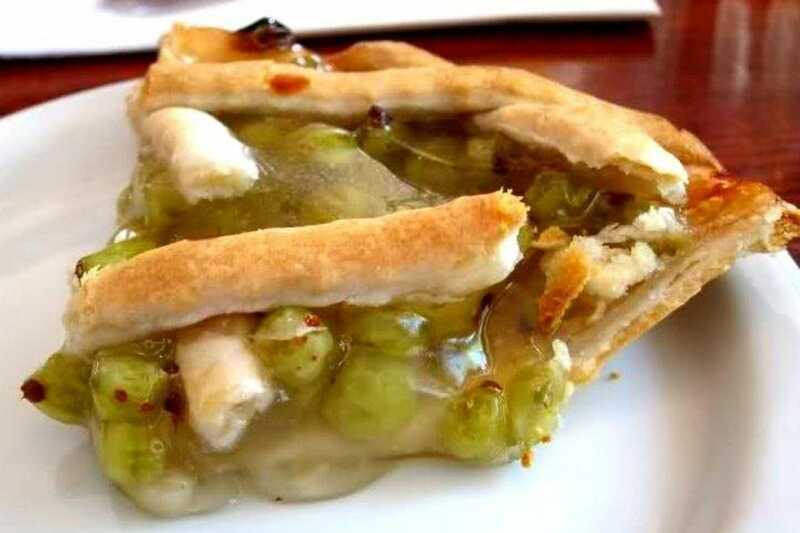 Don't get presumptuous about what might be in possum pie (an Arkansas tradition); it's a lovely, light and creamy dessert for the sultry summer – airy and mousse-y. 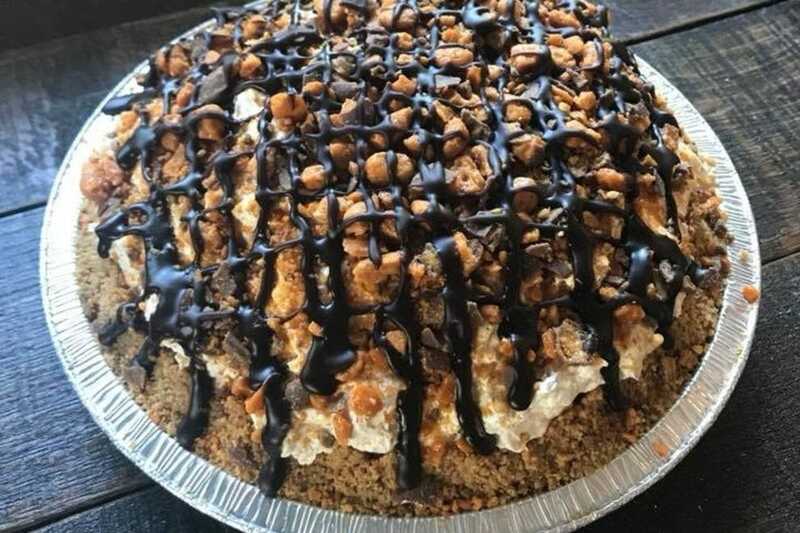 You can sample it, or perhaps a slice of this Butterfinger pie, or even a breakfast quiche at this Conway shop, which is also known for its cakes, custom and otherwise. Mall teens in other parts of the U.S. may imagine Hollister as a surf town, but it's largely an agricultural community, one where the berries grow big and sweet, as evidenced by the mixed berry pie at Casa de Fruta. It's positively loaded down with local fruit. Ski resorts notwithstanding, Colorado has its fair share of desertscape. And in the town of Palisade, where peaches are the primary crop, many others (including grapes, go check out its wineries!) thrive as well. If you have to pick one pie to try, we'd definitely recommend peach. The maple bacon cupcakes and cream-filled lobster tail pastry receive plenty of accolades, but the pie at this Woodstock bakery is not to be discounted. 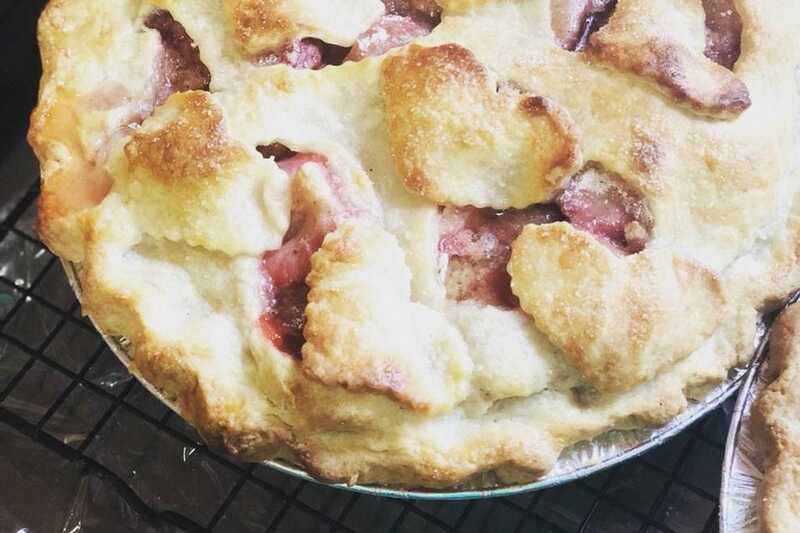 A northeastern locale may have you leaning apple, but fans of strawberry rhubarb won't be disappointed. Opened in 1960 by a prominent, local turkey farmer, this eatery is still going strong (and still known for some of its turkey dishes). 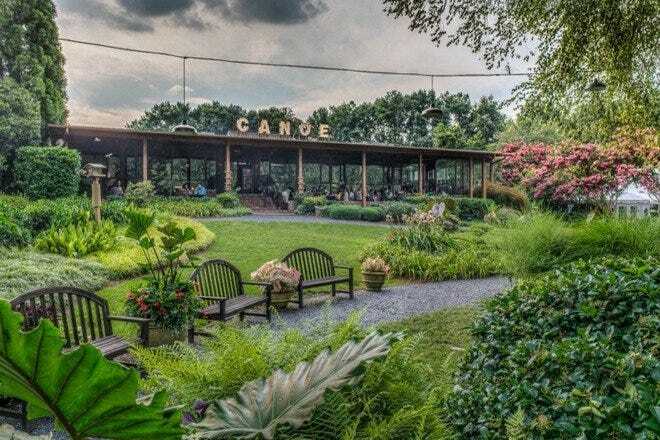 Though its variety of pies – from mile-high ice cream to chocolate chip pecan to an array of fruit offerings – are worthy of a stop in Fenwick Island. 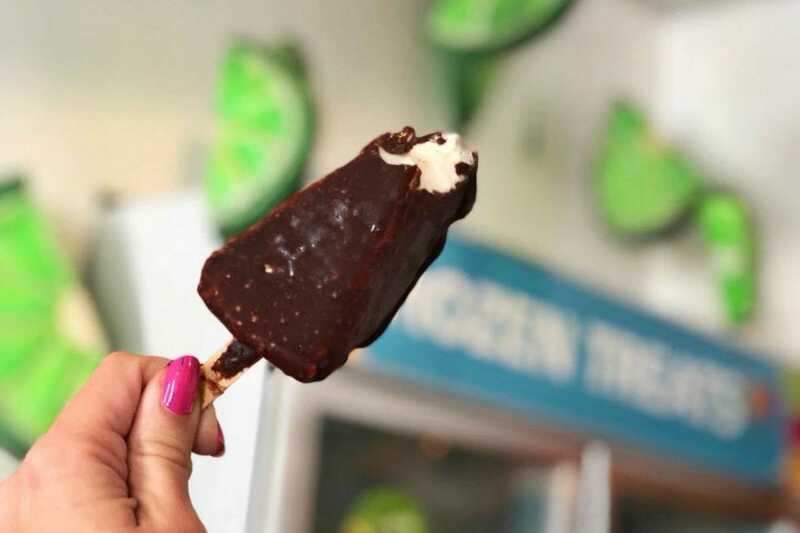 Just about every place in Key West – heck, it's true all over Florida – bills their key lime pie as the best, and many are certainly worthy. But when you make this regional classic mobile (via freezing a wedge on a stick) and then coat it with a decadent dark-chocolate shell, you have something truly, wonderfully elevated. 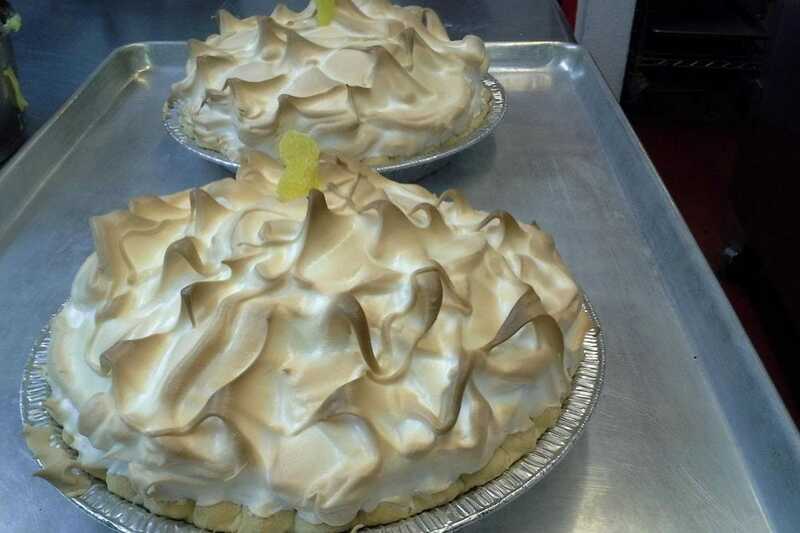 Photo courtesy of Key West Key Lime Pie Co. This Atlanta favorite isn't your typical southern pie shop. 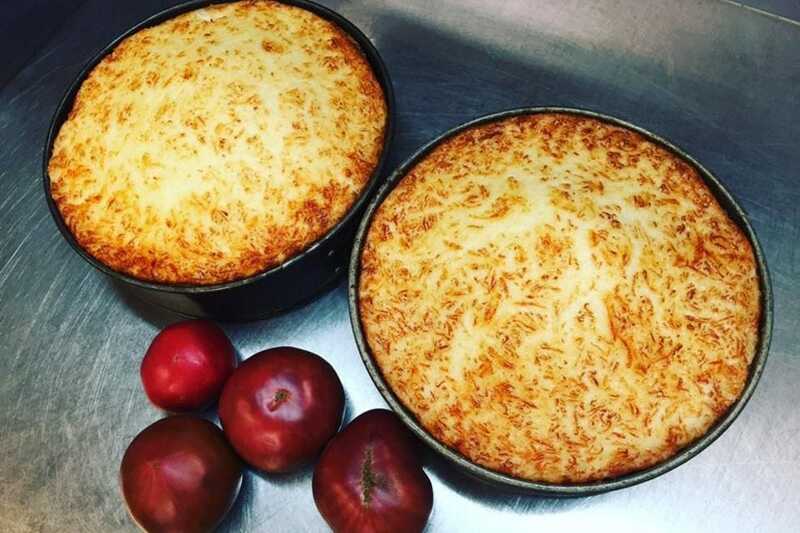 It was founded by three South Africans looking to bring a taste trifecta to the Peach State via British, Australian and South African cuisines. 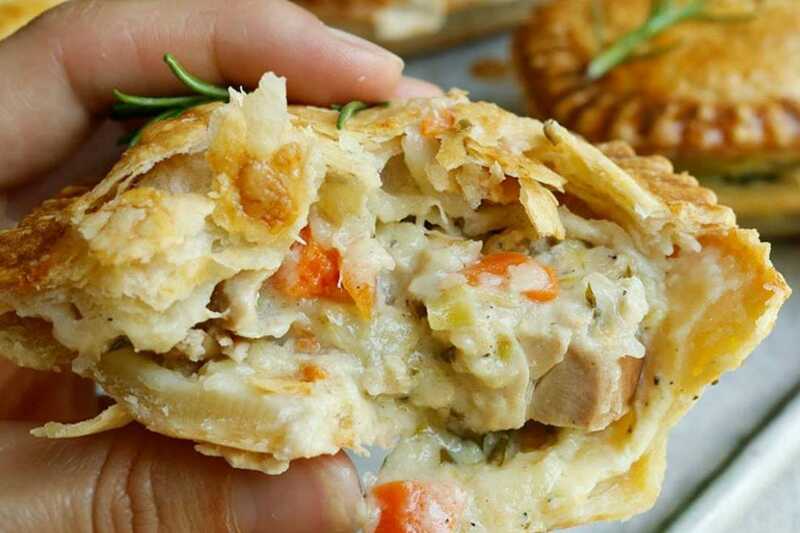 Savory hand pies like pepper steak and Thai veggie curry have been making a name for the place since 2014. Fans of traditional coconut cream, have you tried haupia? 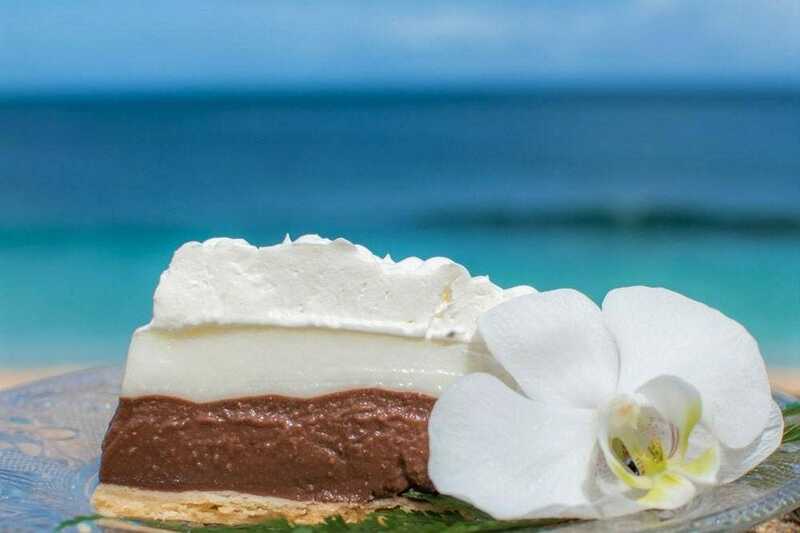 A coconut milk-based Hawaiian dessert, it's a lovely, light pie filling (you might also find it inside malasadas or even as a plate lunch dessert side in a cup) that's sometimes paired with pineapple or chocolate. 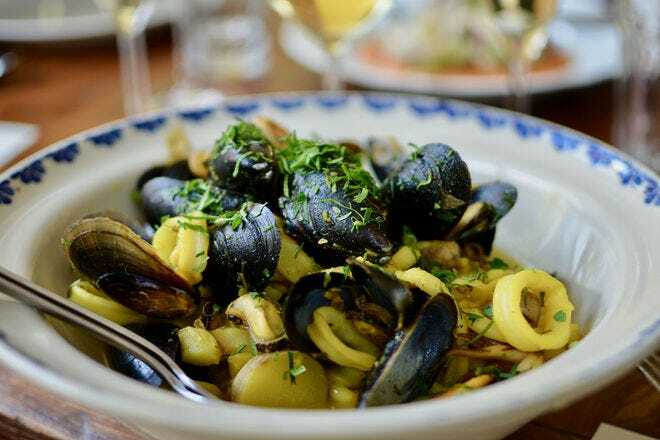 Ted's in Sunset Beach, on O'ahu's famed North Shore, is a great place to try it. 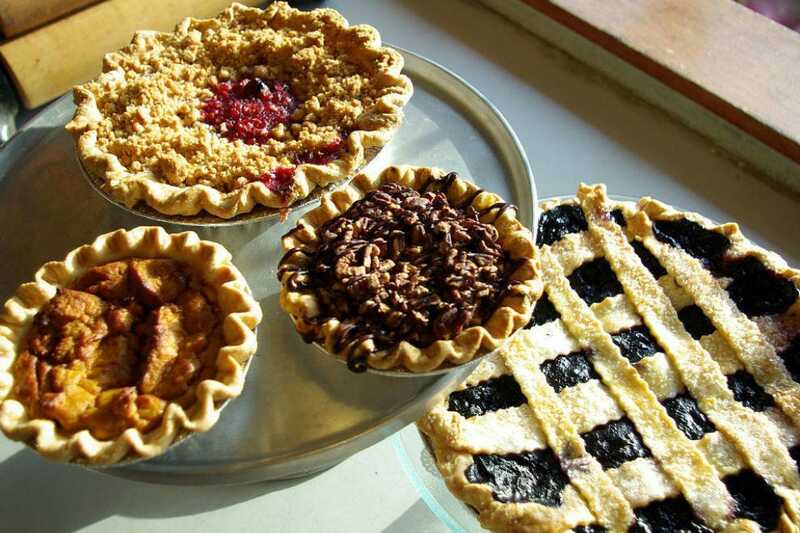 They make all kinds of pies in this Sandpoint outpost. Tasty, traditional huckleberry, for example. Or non-traditional Sloppy Joe. 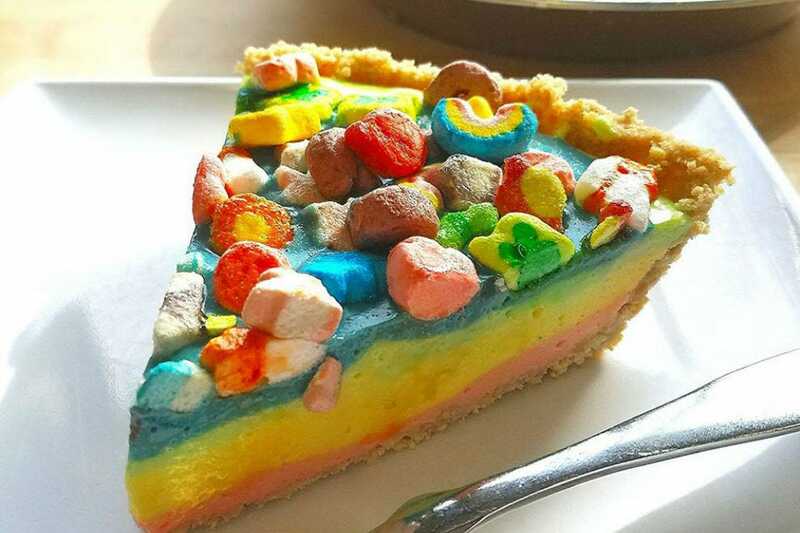 Case in point, this fun and colorful holiday offering: Lucky Charms cheesecake pie! Maybe it's a little too magically delicious for your palate, but guaranteed they'll have something that calls to your personal pie preferences. Chicago's Bub City is known, first and foremost, for its barbecue, but they've got more than a few sweet tooth surprises to counter the spicy and the tangy you'll experience at entree time. 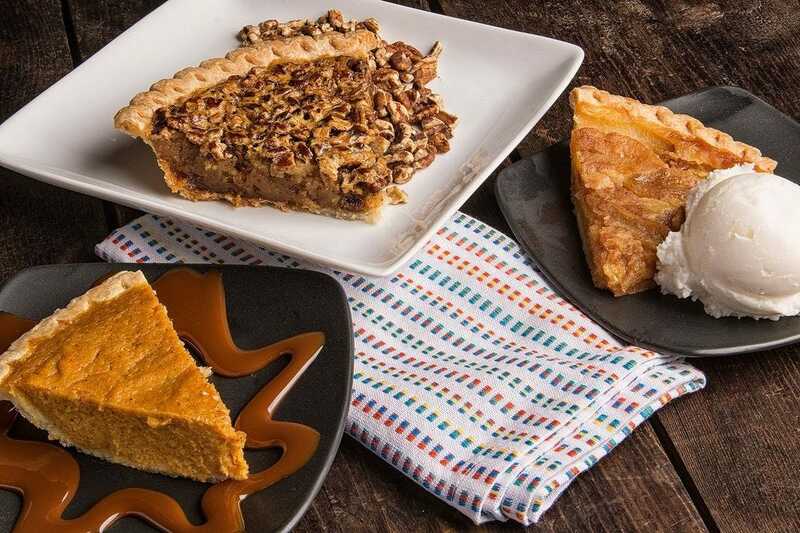 Coconut cream pie, chocolate chip cookies and apple crisp are among them, but pie aficionados go straight for the peanut butter chocolate delight. There were times in this great nation's history when fruit wasn't as readily available as folks would have liked, but stalwart dessert-loving Americans found a way, creating what were then known as "desperation pies" when stores were low. 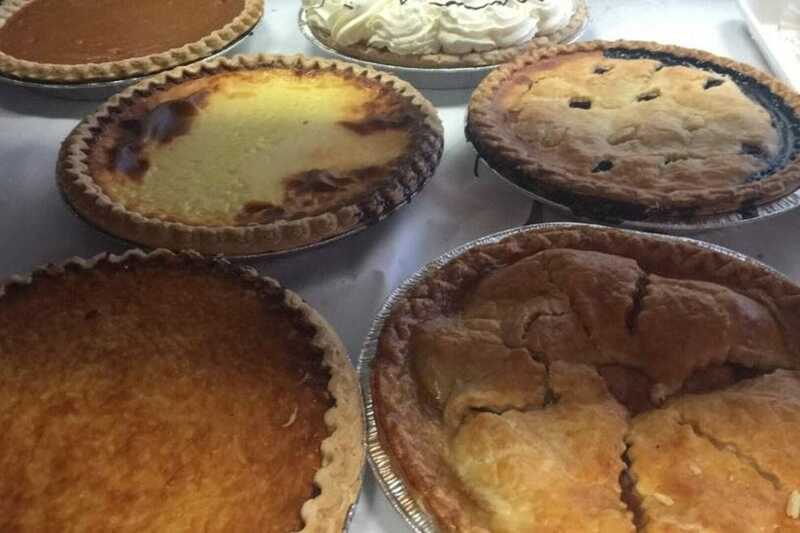 This variety, now known as sugar cream pie, is so beloved, it's now the official state pie of Indiana (it's also known as "Hoosier pie"). Marilyn's in Hobart makes a fine example. 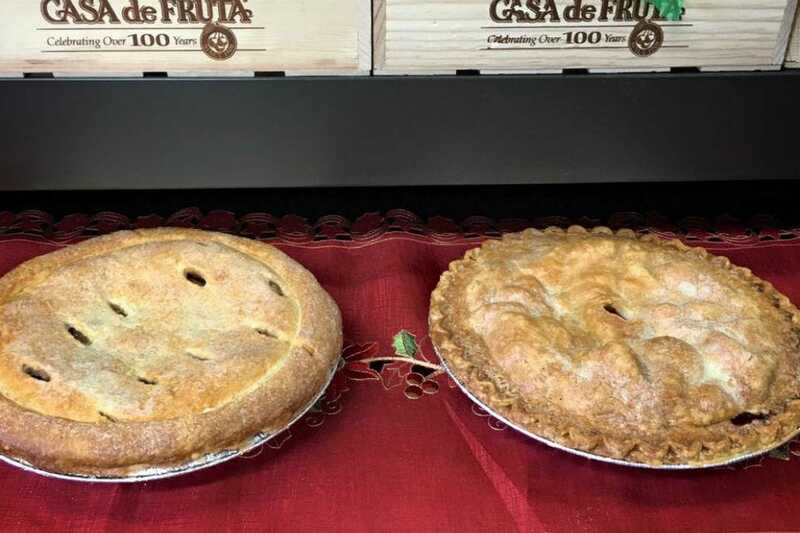 Word of mouth grew this small Cedar Rapids shop from humble beginnings in 1986 to the larger-scale operation they run today, which sells a variety of 10" pies out of its shop while also supplying a roster of other local businesses. 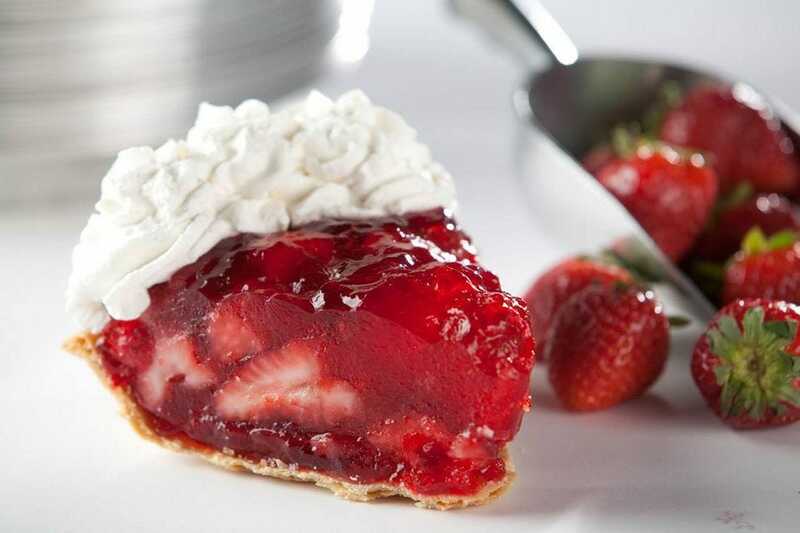 Butterscotch cream to blueberry, 2-crust raisin to succulent strawberry, Kathy's offers high quality and great variety. 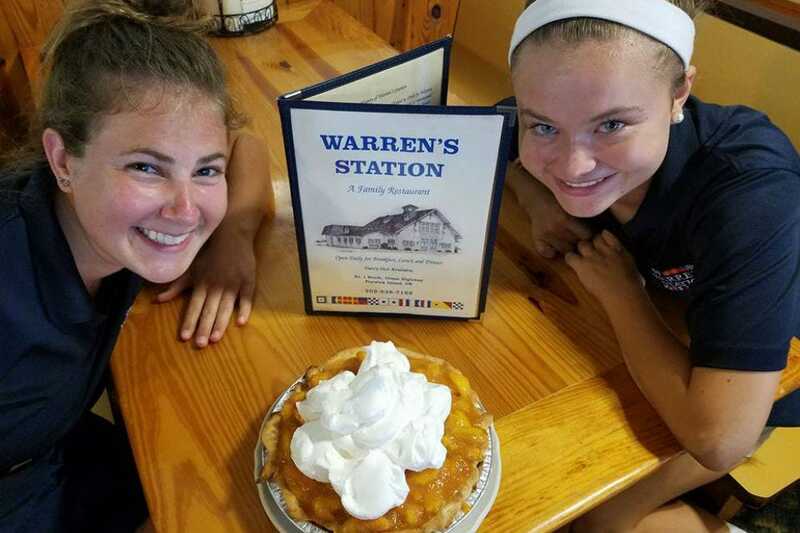 This Dover cafe achieved national acclaim in 2008 when its baker, Norma Grubb, won the title of "Best Pie in America" as judged by Good Morning America. 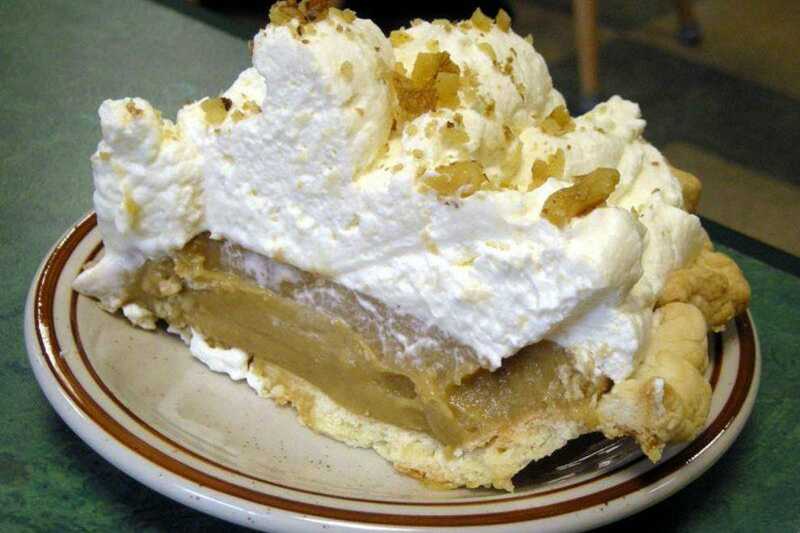 Norma retired from pie-making at 89 and passed away in 2011 but her coconut cream pie legacy lives on. 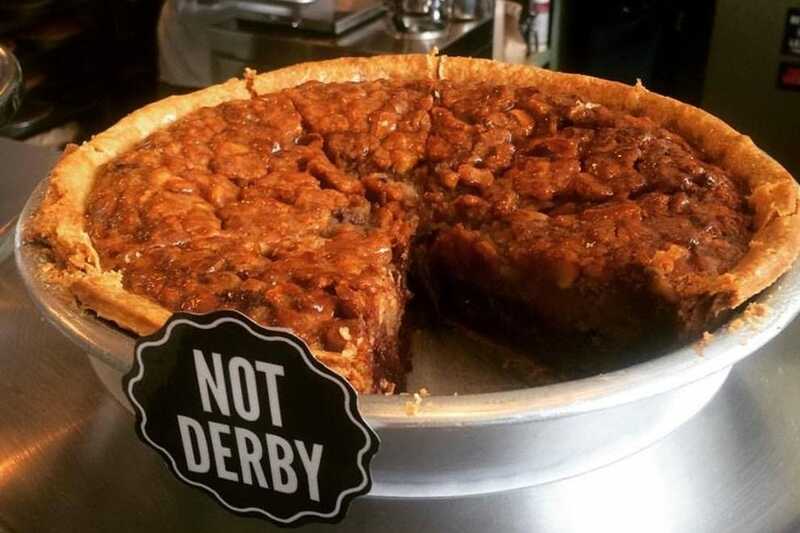 Derby pie is a chocolate-walnut (and sometimes bourbon) confection that's beloved in Kentucky and associated with the most famous horse race in the world, but it's also a recipe for a lawsuit: the name is under copyright. That doesn't stop the state's fine bakers, including this one in Louisville, from making stellar variations. You can pair this one with house-made ice cream, to boot! 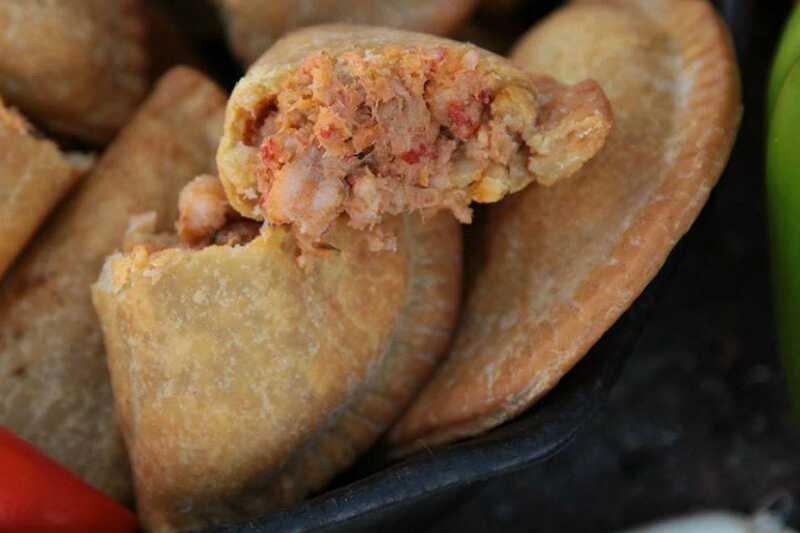 If beignets are the dessert to try in Louisiana, then meat pies are what you're going to want in Natchitoches. Lasyone's has been in business for decades, serving up an 80/20 beef-pork combo (get the dirty rice on the side) to armies of devotees. They're known for their crawfish pie, as well. When in Maine, there are two foodie faves to remember: lobster, of course, and fresh, local blueberries. 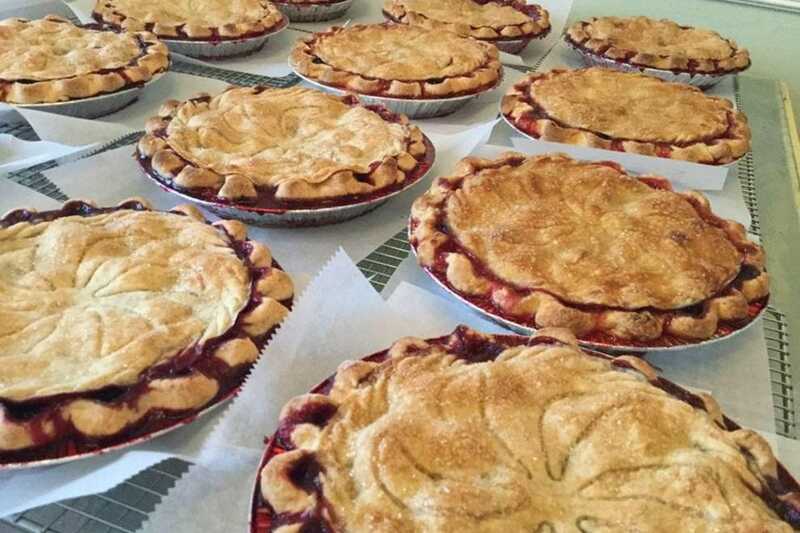 This Bar Harbor bakery offers up all kinds of goodies, but we'd have to steer your taste buds toward one of the Pine Tree State's most delicious pie varieties. It was unlikely we could make it through 50 pies without making at least one pizza exception. Baltimore's own Matthew's Pizza is it. You can't leave Maryland without having crab in at least three formats, we figure, and pizza will never be obsolete. 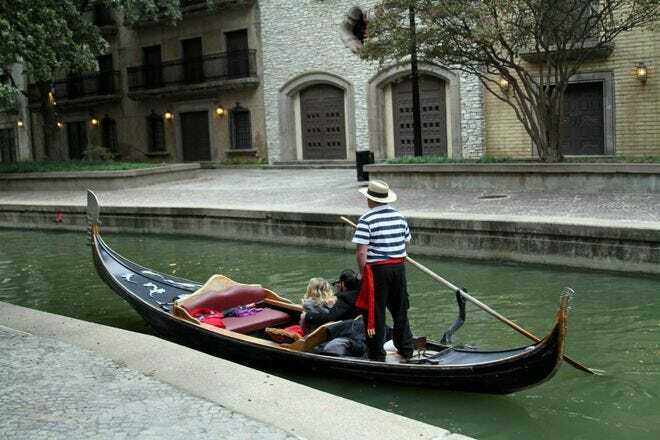 This deep dish pie is slathered with the tender, delicious crustacean for which this state is famous. 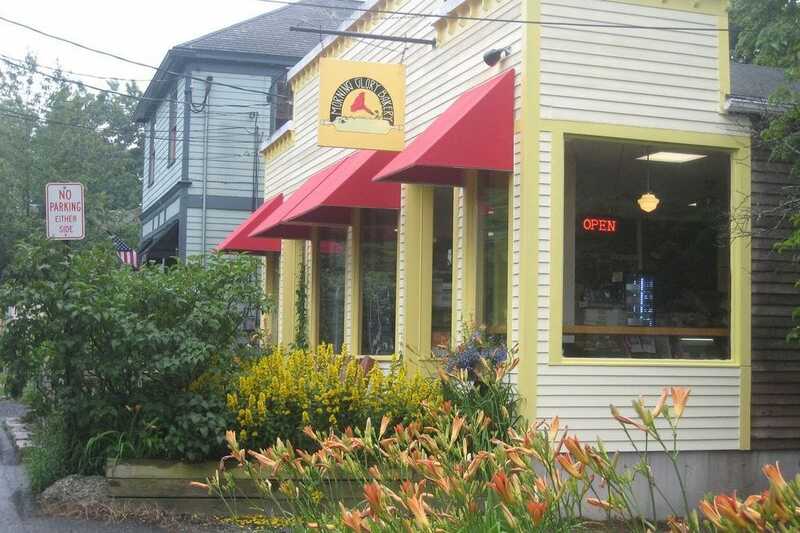 This bakery has proliferated some, but its original Somerville location is still going strong, with a bevy of beautiful pie flavors available by the tin or the slice on the daily. Mixed berry, banana cream and bourbon chocolate pecan are just a few of the types you'll find at Petsi. Summertime is peak blueberry season up in Michigan and so, again, it's the natural go-to. 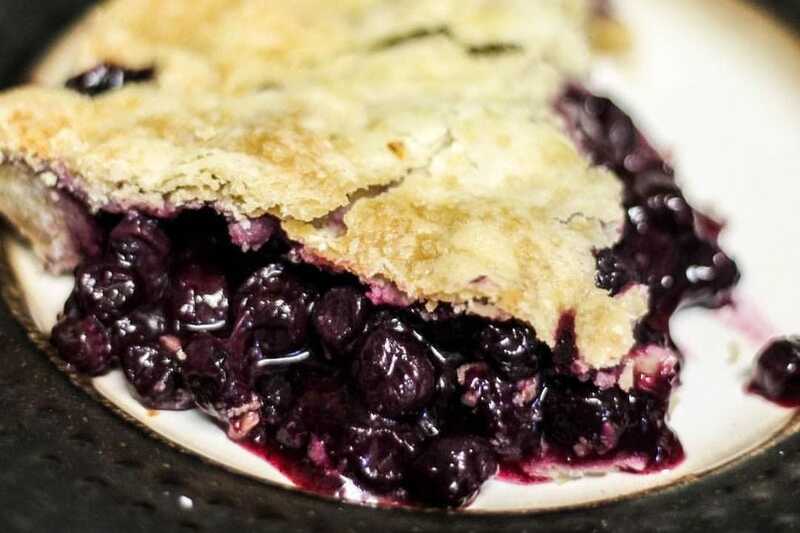 Jawor Brothers is a blueberry farm in Ravenna, so few berries travel a shorter distance from bush to crust to belly than the ones you'll taste at their country store. Breaking Bread was founded, in part, to bring fresher, healthier eats to a neighborhood that many saw as overrun with fast food options. You'll find nothing of the fast variety on this menu. 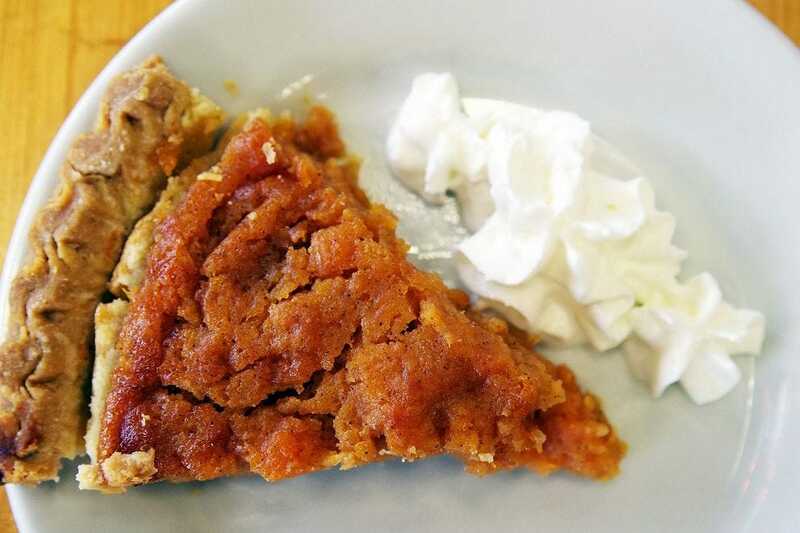 where both the apple and sweet potato pies win all kinds of accolades. 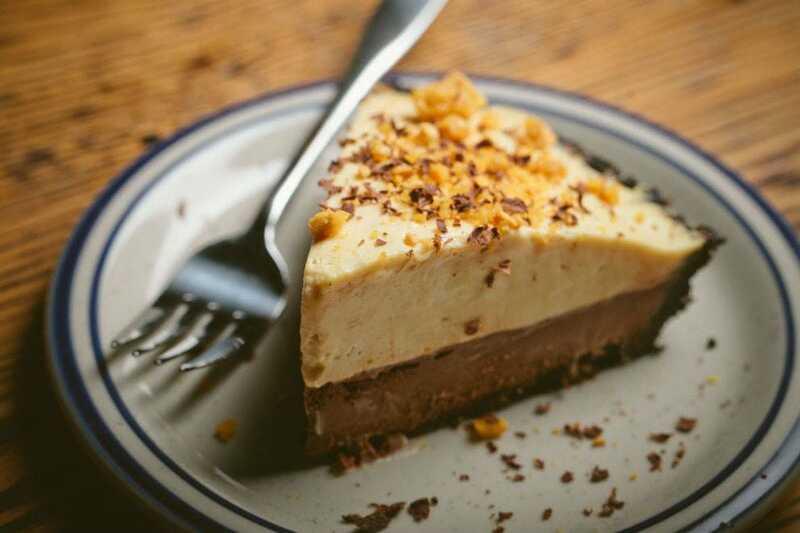 Though people argue about the origins of Mississippi mud pie, a thick, chocolaty pie which gets its name from the caked riverbeds of the Mississippi, few argue against having a slice. 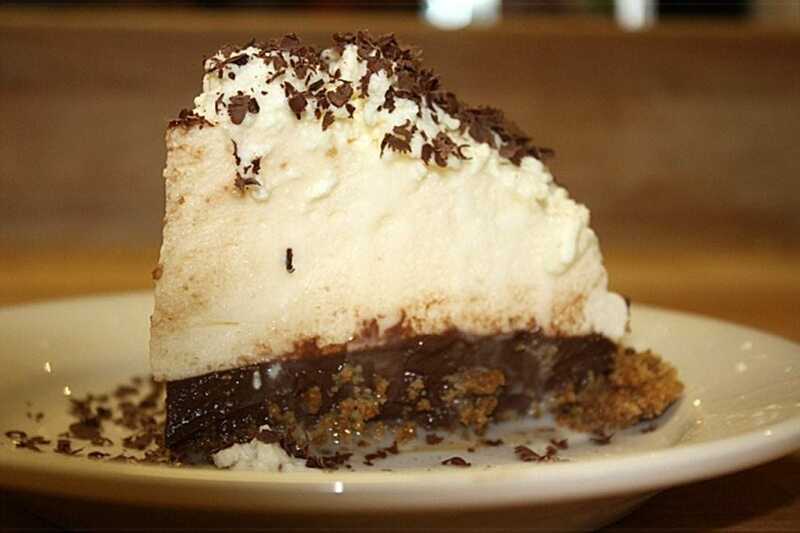 At Weidmann's, a fixture in Meridian that opened as a four-stool cafe in 1870, the famed dessert is black bottom pie, as rich at its base as it is light and creamy up top. 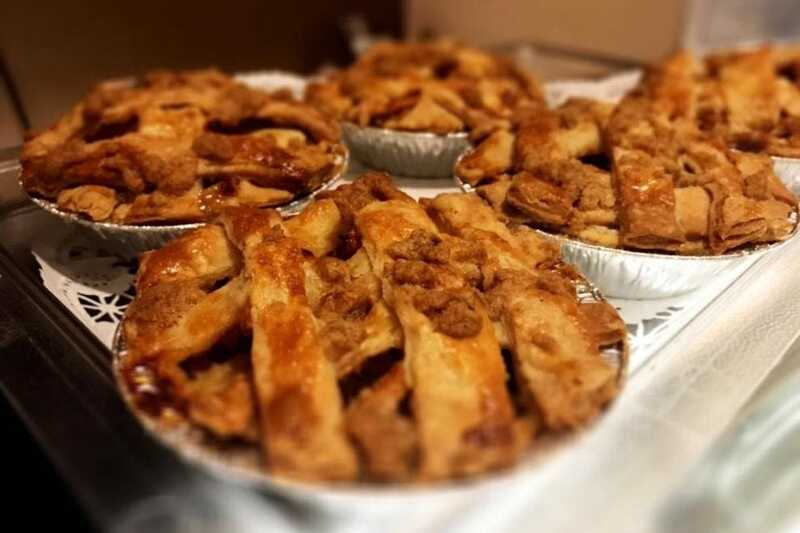 When Oprah Winfrey named this Kimmswick cafe's Levee High Apple Pie to her list of favorite things in 2011, a local favorite went insta-global. 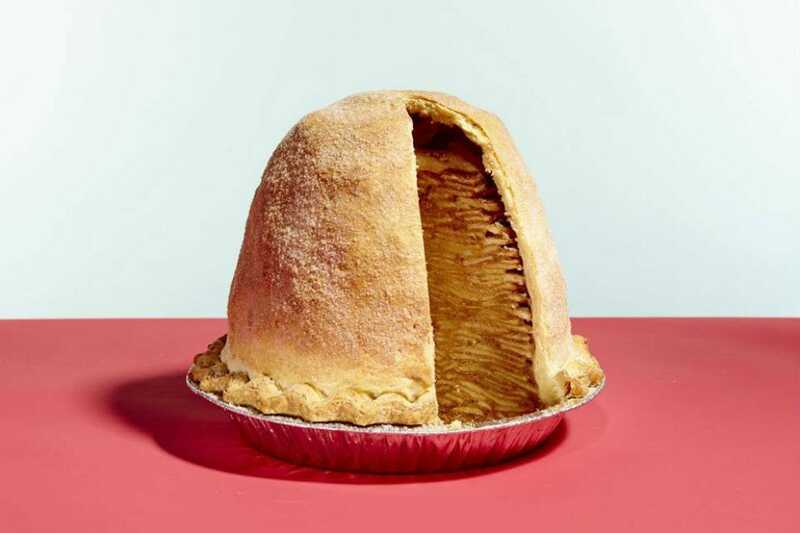 The towering beehive of a pie stands roughly 9 inches tall and incorporates nearly 10 pounds of apples in its physics-defying crust. 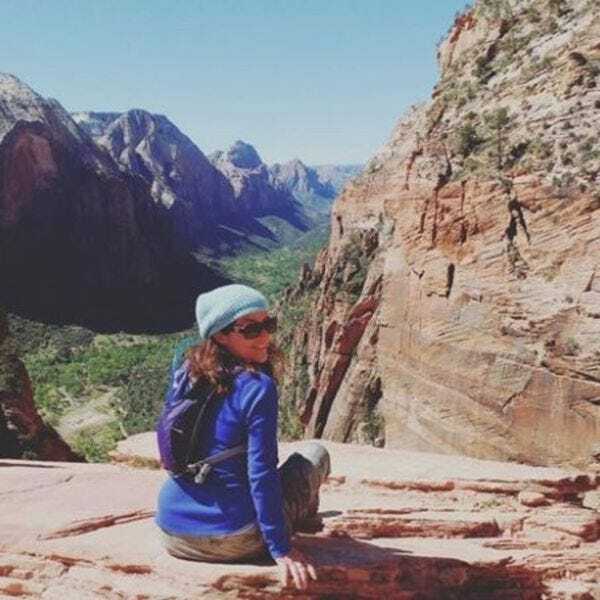 You're going to need to fortify for all the gorgeous hiking you'll be doing in this part of Montana. 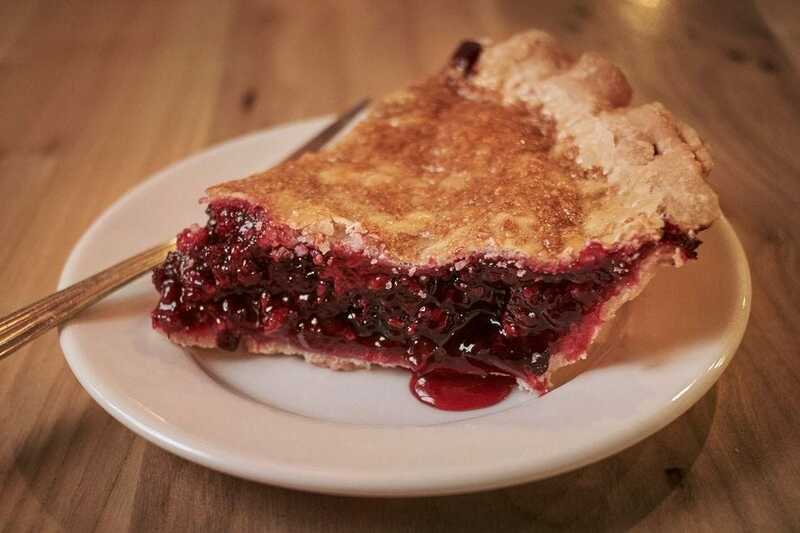 The Whistle Stop in East Glacier can help with that, but whether you're there pre- or post-amble, you'll want to save room for a slice of dark, tart and juicy huckleberry goodness. "Kinda classy, mostly bubba," the website of this Goehner eatery proclaims. 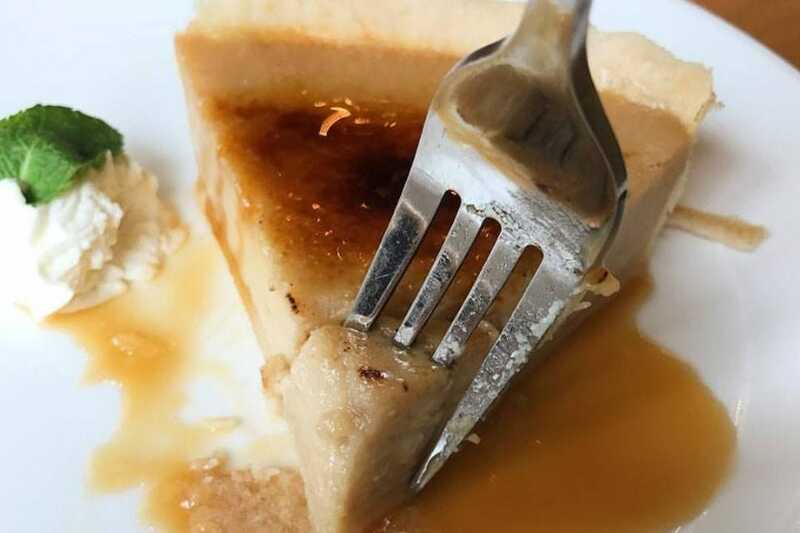 But really, isn't classy pie overrated? 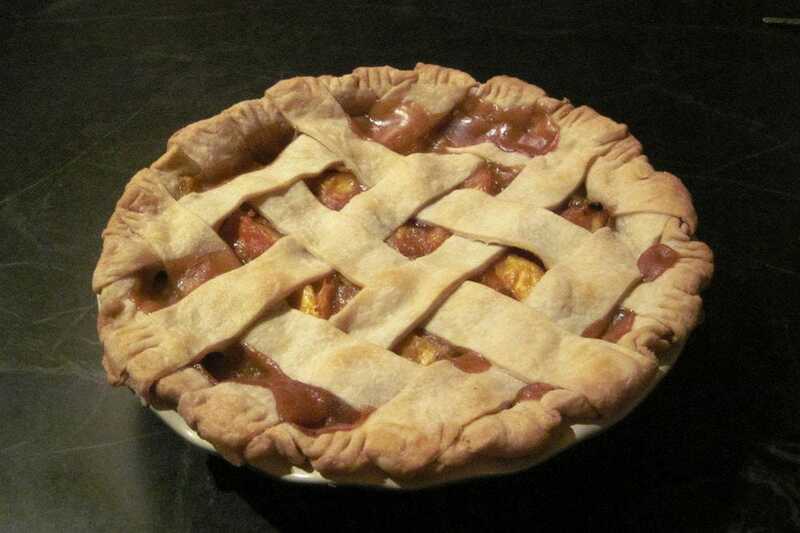 Here at Chez Bubba, the pies are homemade and the flavors change more or less on the daily. There are no bad options. Choose carefully or on a whim. It won't matter. 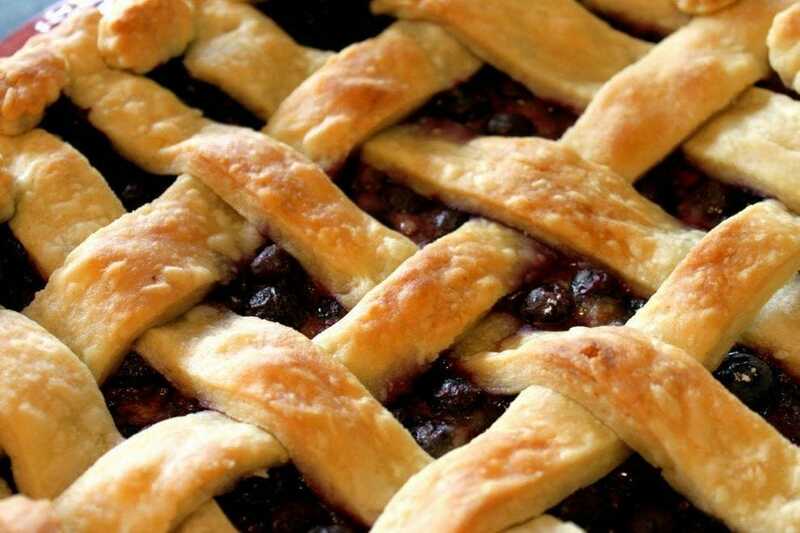 Du-par's has been slinging its famous hotcakes and more since 1938, and at the Suncoast Casino, you can partake of breakfast, or burgers, or anything in between, but the pies – whether unique like gooseberry (pictured) or classic, like cherry or key lime – never disappoint. 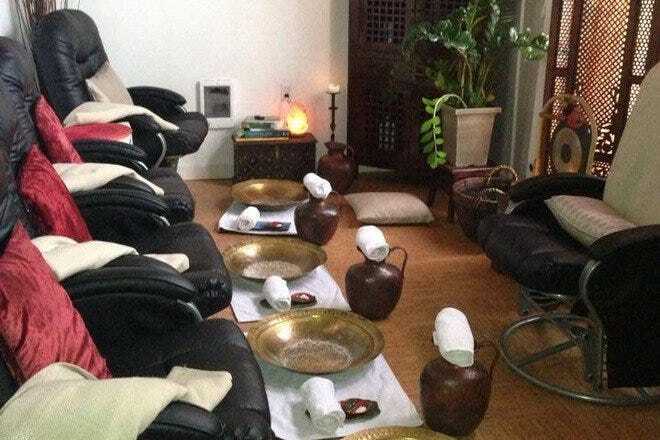 In fact, they offer a monthly selection. 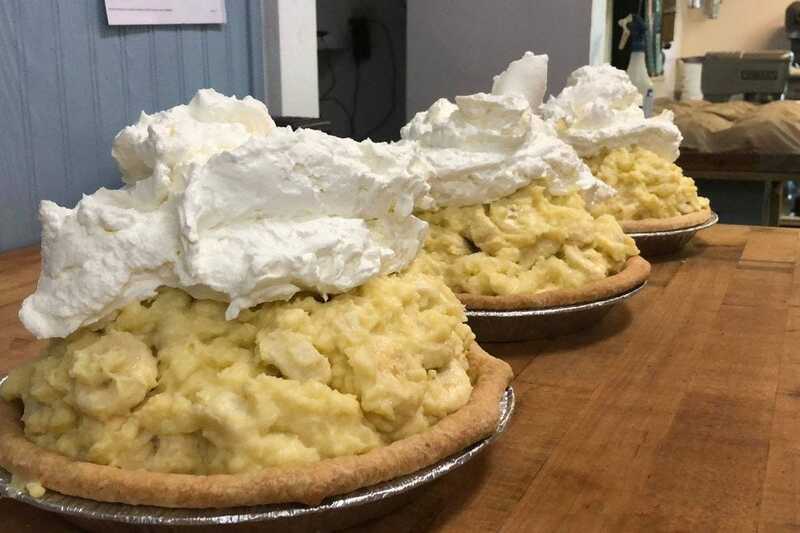 At the Wicked Good Bakery in Plymouth, there are many offerings patrons would classify in this most New England of ways, but the pie (apple, pumpkin and more) might be the wicked good-est of all. 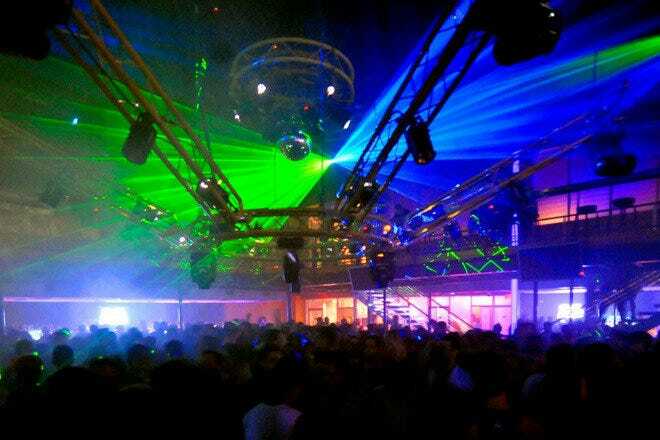 Or would it be wickedest good? Who cares? Just have pie. 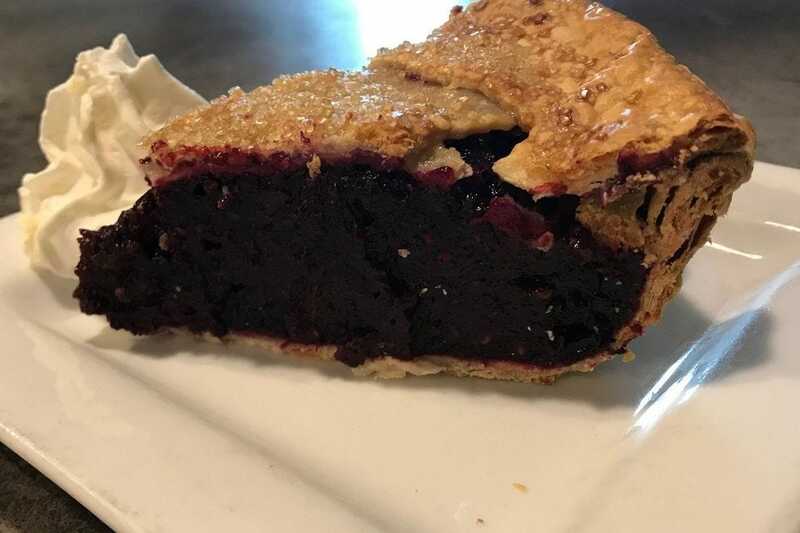 When in Moorestown, a visit to the Pie Lady Cafe could easily wind up a double-tap, with say, savory quiche for lunch followed up with stellar, fruit-laden blueberry pie for dessert. Or you could just grab a whole one to take home. Either works. 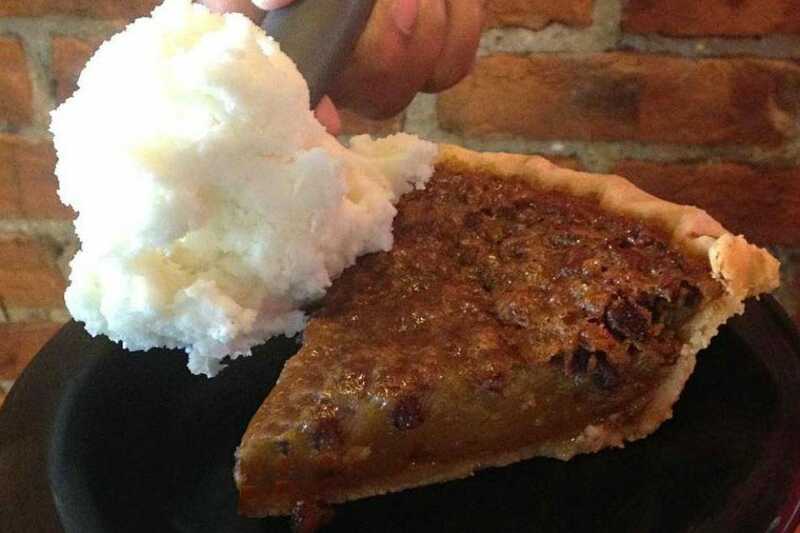 In a place called Pie Town, partaking of this classic dessert is a no-brainer. Pop into the Pie-O-Neer for massive variety that mines from classic selections to regional specialties, like pies with New Mexican chiles baked into the mix! Sweet, spicy and so, so good! They call New York City the 'Big Apple,' but that's not where the Empire State's incredible supply comes from. Upstate is where it's at, and in the town of Phoenicia, an unassuming Neapolitan pizza place makes a caramel apple lattice pie that the locals (and summer tourists) can't get enough of. Creamy, cheesy tomato pie is a southern staple. Try the version at this '40s-style Raleigh eatery. They bill themselves as a "dessertery" as well, but this savory offering is worth a taste to be sure. Down-home diners are to be expected in places like Fargo; Deaner's fits the bill nicely. Your coffee cup won't go cold or empty here, and you've got myriad homemade pies with which to pair it. 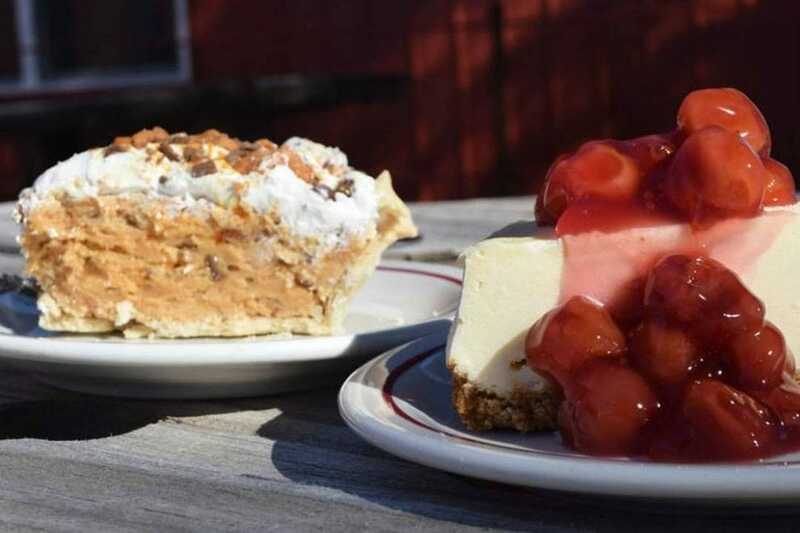 The historic Golden Lamb in Lebanon makes killer comfort fare, including some seriously good fried chicken, but be sure to save room for one of their desserts. 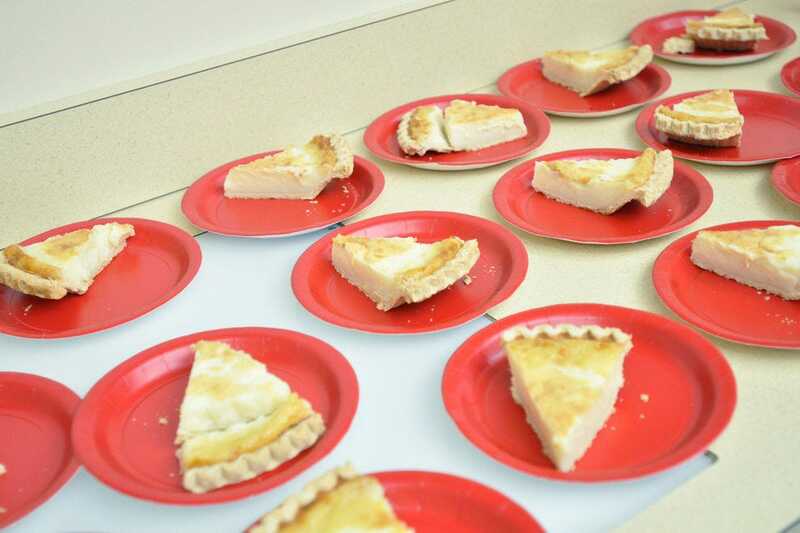 The classic shaker sugar pie is just one of the options, but it is wholly Ohioan in nature. 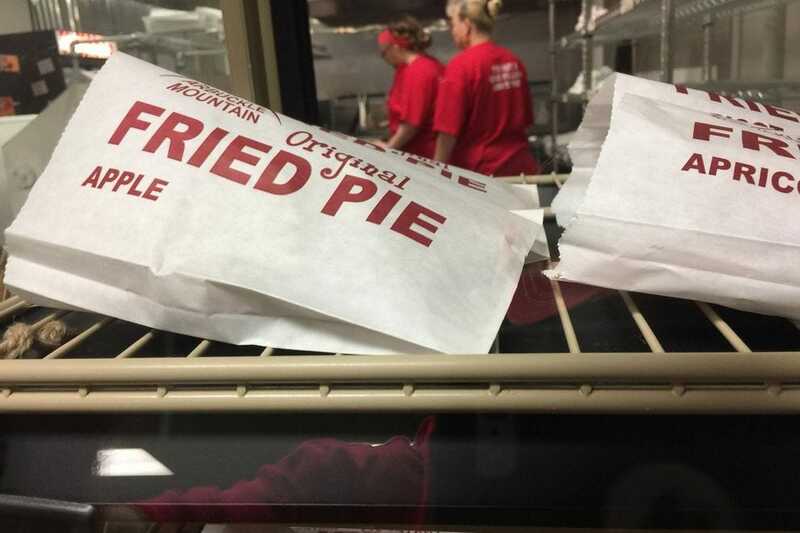 Around since the 1800s, these hand pies were the "fast food" of choice for ranchers working in Oklahoma's Arbuckle Mountains. Get yours in Davis, grabbing one or a dozen in flavors like lemon, coconut, pineapple, blackberry and more. They make sugar-free varieties, too. Nothing says "let's have some warm pie" like a rainy day, of which there are many in Portland. 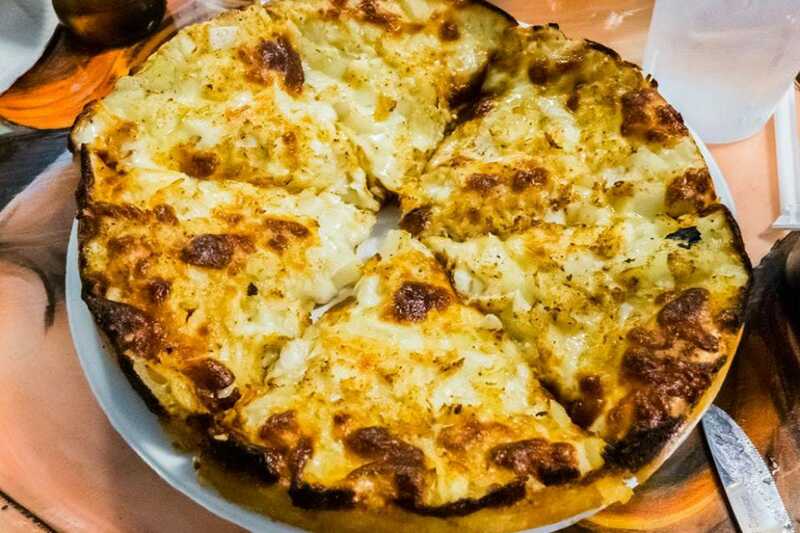 Fill your belly at Pacific Pie, where some offerings boast 5 lbs. of fruit in every tin. A big ol' slab'll do ya, guaranteed. 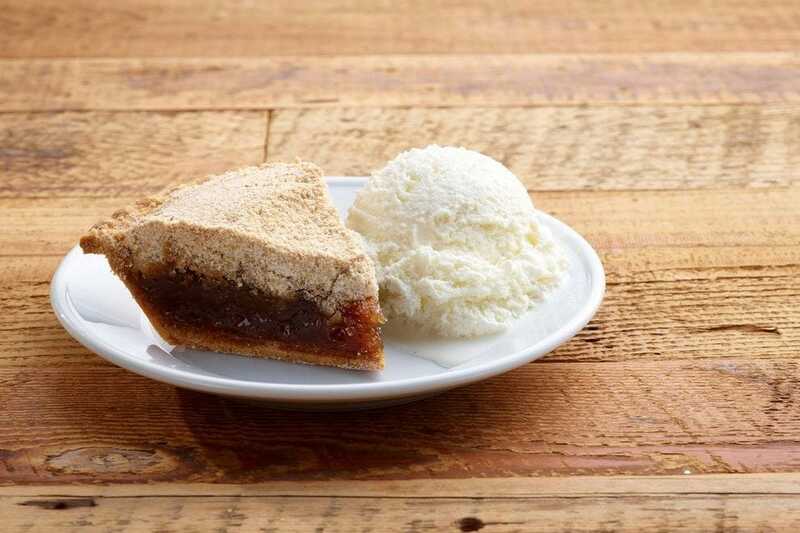 Shoofly pie, a molasses-based confection made popular by the Pennsylvania Dutch, is alive and well in the region, tempting the diners at classic, family-style haunts like Smoketown's Good 'N Plenty. Don't skip the fried chicken and browned butter noodles, but be sure to save room for this Quaker State staple. Sure, you'll definitely want to check out the breads at this unassuming little Johnston bakery. 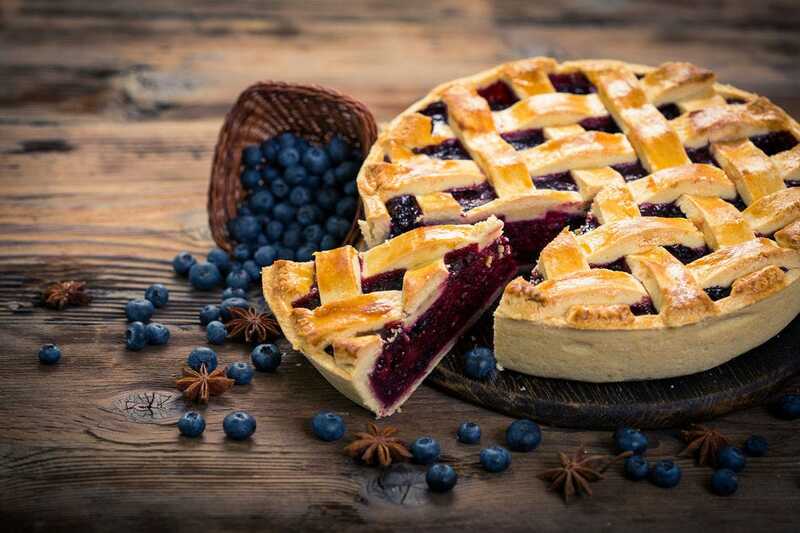 The biscotti and cupcakes are notable, as well, but that doesn't mean they skimp on quality when it comes to pies – apple, blueberry, various cream varieties and more are oft on the menu. South Carolina - Carolina Cider Co.
At this Yemassee shop, the pies are baked fresh daily and you'll see which are hot and right out of the oven on the quaint signs they post. From pecan to peach, apple to sweet potato, every bite feels like love. Wash it down with a warm cider to double up on the sensation of a culinary hug from your Grammy. 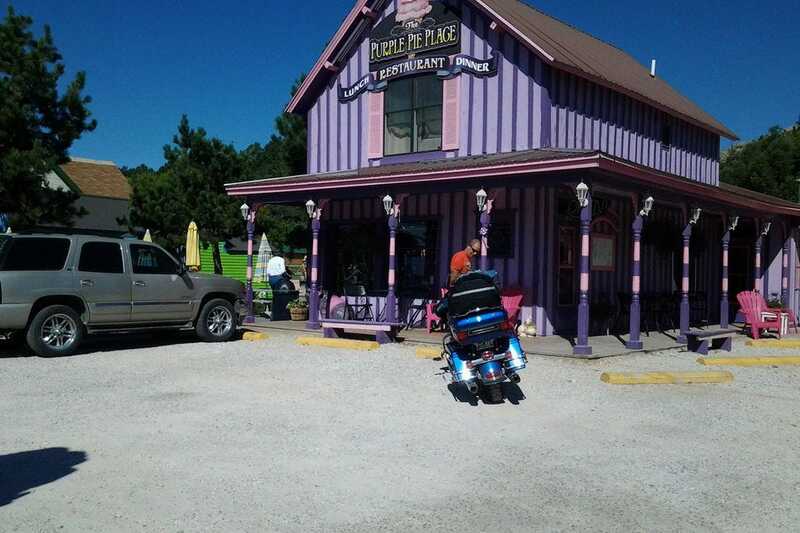 Folks coming through the town of Custer might stop to gawk and snap pics of the Purple Pie Place, but they're missing out if they don't stop the car for a taste. 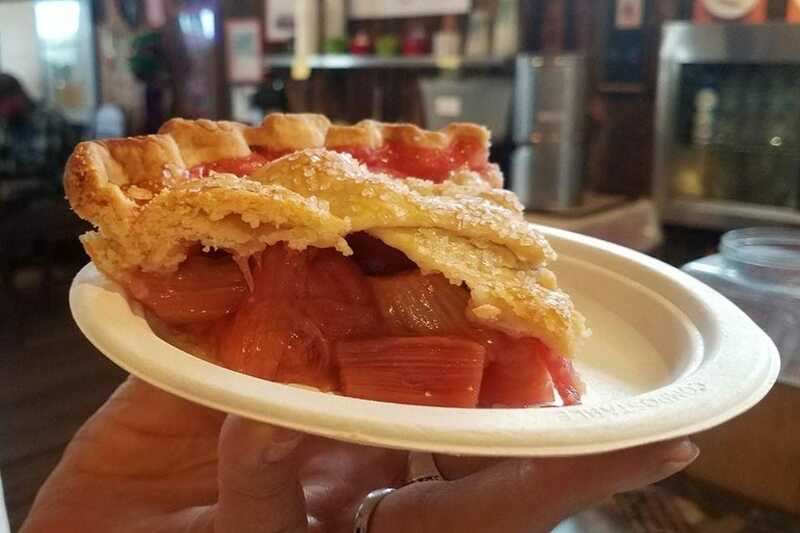 Sandwiches, panini, salad and more make for cheap, tasty lunchtime fare, but be sure you go for a slice of one of their pies, whether sweet strawberry, peach or cherry or spice-infused raspberry rhubarb jalapeno! 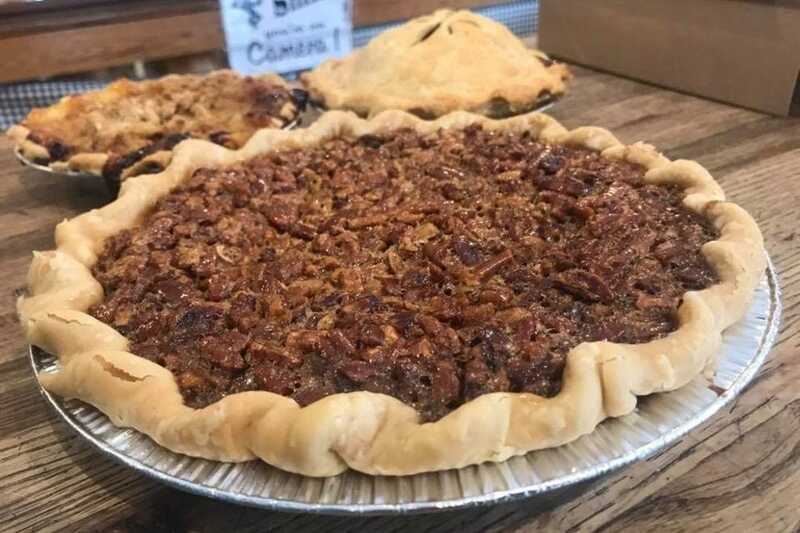 This pie haven in Nashville's Germantown neighborhood offers pies in a variety of sizes and flavors like chocolate chip pecan, apple, peach, sweet potato, 'Jus (that's like chess) and specialty flavors like bourbon pecan and nutty chocolate fudge. Share a few 3" pies in the shop to help you decide which 9" to take home. Texas doesn't lack for good barbecue, to be sure, but the best for meat isn't always the best for dessert. The Salt Lick in Driftwood covers both bases, one with smoky sauce, the other with spice-laden pecan goodness. You could do worse than acquiring a fresh, seasonal cherry pie from the very farm on which said cherries were lovingly grown. 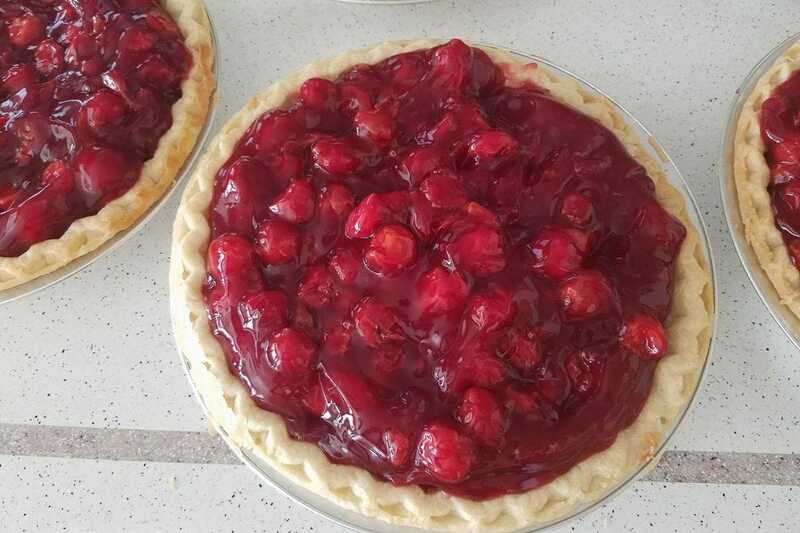 That's why the Woodyatt Cherry Farm in Willard is a wonderful place to buy cherries for your own pie, then cave and eat those in the car on the drive back with one of their pies tucked safely into a box behind your seat. P&H is a regular stop for both locals and regular visitors who make it a must-stop when they're passing through Wells River. Notable for its breakfasts and (natch!) other truck stop faves, one of the most unique, and Vermont-infused, offerings is the maple cream pie. Virginia - Proper Pie Co.
Sure, Richmond's Proper Pie Co. serves up southern staples (like the humorous and non-litigious "Not Derby" pictured here), but also features a rotating menu of New Zealand-style pies with sweet and savory fillings. Photo courtesy of Proper Pie Co. 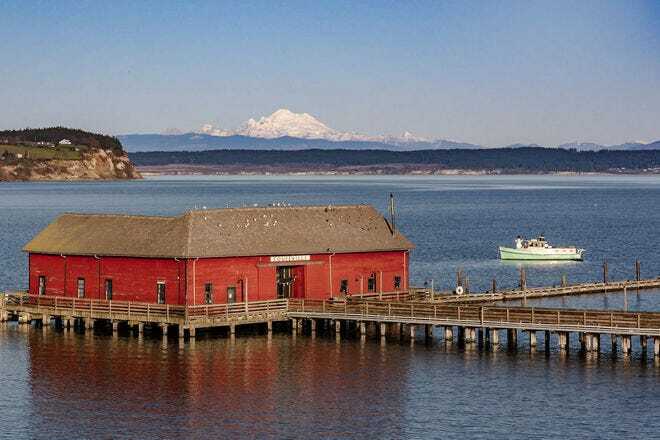 It's Washington state, so you'll probably want to sample the salted caramel or Granny Smith apple, but the marionberry, loganberry and other fruity varieties are so good, you should definitely go with friends. Dog-friendly with some lovely outdoor seating, this is a sweet way to experience the town of Greenbank, literally and figuratively. 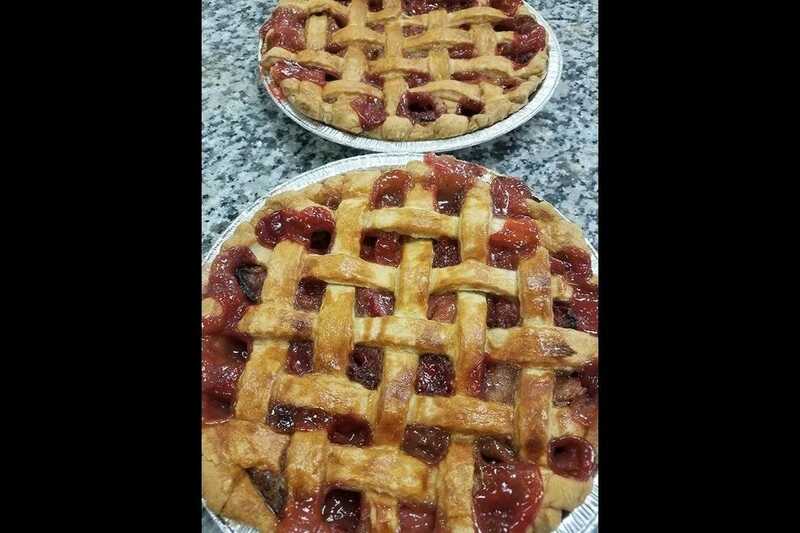 Want a truly homemade pie? 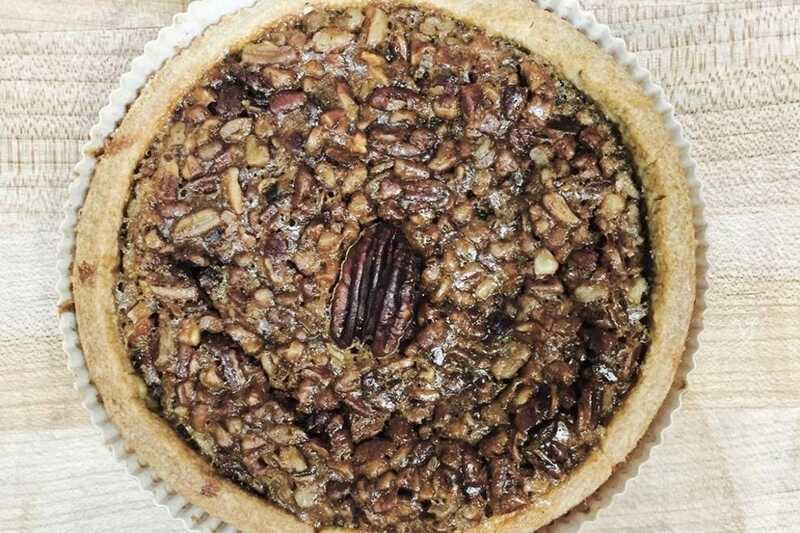 You won't get one more literal than Susie's, baked right in her Ranson, W. Va. home and carted to the Charles Town and Berkeley Springs Farmers Markets to please pie devotees of every stripe. Traditional flavors, and unique ones like pear ginger, are lauded by the locals. 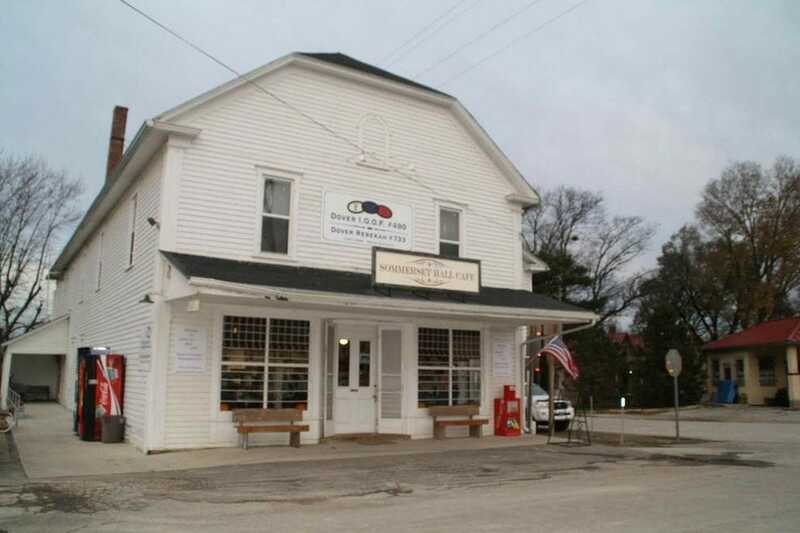 This quaint operation in the town of Maiden Rock has offerings that change on the daily. The cookies and muffins are delicious, as are the pies, in particular the massive mound of deliciousness that is their banana cream. 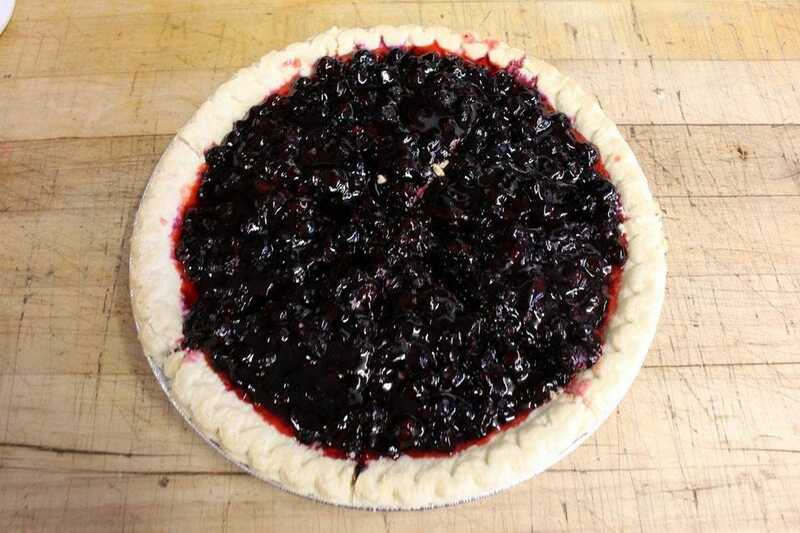 This scrumptious slide features the town of Dubois' Cowboy Cafe, an unassuming mom-and-pop operation with reasonable, tasty eats, cowboy-sized portions and a preponderance of perfect pies, from boysenberry to lemon meringue (pictured).